Another huge recall is making headlines this morning. Pilgrim’s Pride is recalling 4.5 million pounds of cooked chicken products because they could be contaminated with what the USDA calls “extraneous materials.” Dun dun dunnn. The recall (expanded from an April 7 recall) includes a whole range of breaded chicken products, from patties to nuggets to “popcorn.” As for the extraneous materials, those could be plastic, wood, rubber and metal. The list of products in this recall is long, but here’s the thing: The products are sold for institutional use, mostly schools. So the contaminated chicken isn’t showing up at your grocery store; it’s showing up at your kids’ school cafeteria — or it could be. 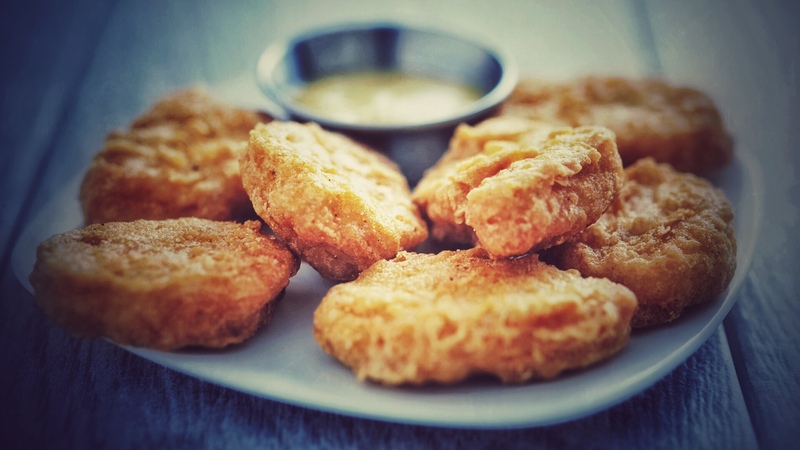 Hopefully schools are acting quickly to pull these chicken products now, but parents might want to warn their kids to skip the chicken nuggets for a while. Pilgrim’s Pride learned about the problem after customers complained. Yikes. Thankfully no illnesses or deaths have been attributed to the recalled chicken. To find out more, see the USDA’s recall notice, or contact the FSIS virtual representative available 24 hours a day. You can also call the USDA Meat and Poultry Hotline 1-888-MPHotline (1-888-674-6854) from 10 a.m. to 4 p.m. (Eastern Time), Monday through Friday.